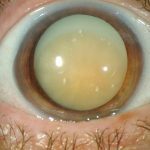 A cataract develops when the normally clear lens in the eye becomes yellow and cloudy. This cloudiness increases light scatter which patients notice as blur, glare, or halos. This is process is similar to the changes seen in a plastic window. As the plastic window undergoes UV sun and weather damage, it becomes yellow, brittle, and cloudy thus making it hard to see through. Cataracts are a natural and inevitable process that affects nearly 22 million Americans age 40 and older. Symptoms of cataracts may include blurry vision, increasing halos around lights, double vision, or a fading of colors. Many patients become aware of having decreased night vision due to glare and halos from headlights or needing brighter lights to read. These symptoms are typically slowly progressive and very subtle over months to years. Modern cataract surgery maybe an opportunity for you to be free of glasses for most of what you do on a daily basis. Treatment of a cataract includes removal of the cloudy lens with a short outpatient procedure. This surgery requires no sutures and little recovery time. During the surgery, you will be awake but mildly sedated and your eye will be fully anesthetized. After a small incision is created, the hard, cloudy cataract is broken up by ultrasound energy, and the fragments are removed by vacuum. A membrane which held the natural lens is polished and used to hold the new clear intraocular lens (IOL). There are many types of IOLs, and consulting with our experienced surgeon can help you choose the right lens that best matches your lifestyle. The basic monofocal lens will allow you to see clearer in the distance, but you would still need glasses to correct for astigmatism and for intermediate and near vision. Astigmatism is caused by the shape of the front of the eye (the cornea) meaning that is more shaped like a football instead of a basketball. This condition can be corrected at the time of surgery by reshaping the cornea or by placing a Toric IOL in the eye thus optimizing your distance vision without glasses. Advanced lens technologies allow more freedom from reading glasses. The FDA has approved 3 different presbyopia-correcting lenses, and each lens has its own advantages and weaknesses. The ReStor lens by Alcon and the Technis Multifocal by AMO, both have multiple zones to focus light for both distance and near vision similar to a lined bifocal. The main difference between the two lenses is that the Technis Multifocal is designed with a close near focus point compared to the ReStor. In contrast, the Crystalens by Bausch and Lomb has a clear optic with hinges that provide great distance vision and an increased depth of focus for intermediate and near vision. This lens uses your own eye muscles to flex the lens thus changing its position. All three lenses have proven to be of great benefit to patients, and matching each lens' strength to patient needs and having realistic expectations are paramount to a successful outcome. Overall cataract surgery is a very safe procedure and millions are done every day. As with any surgery, complications may occur. The main risks of surgery are the infection, increase in floaters, increased chance of a retinal tear or detachment, or having a fragment of cataract left behind. All of these conditions are rare and treatable but may require an additional medicine or a secondary procedure. About half of all cataract patients after surgery develop a clouding behind the artificial lens implant called a "secondary cataract" or posterior capsular opacification (PCO) which is quick, treated with an in-office laser procedure. Your cataracts should not stop you from living your life the way you want to live. Modern cataract surgery with advanced IOL technology is an opportunity to improve your vision. The best way to determine if your eyes are affected by cataracts is to schedule a consultation with our surgeon for a complete eye exam. Once we have measured and examined your eyes, we can help you choose which is the best technology for you. What is a Cataract? What are the symptoms? When are they ready for removal? The lens in the eye can become cloudy and hard, a condition known as a cataract. Cataracts may cause blurred vision, dulled vision, sensitivity to light and glare, and/or ghost images. Some patients describe cataracts as “a film” across their eyes.If the cataract changes your vision so much that it interferes with your daily life, the cataract may need to be removed. How are Cataracts developed? Who is at risk for Cataracts? Cataracts can develop from normal aging, from an eye injury, or if you have taken medications known as steroids.Older people are generally more at risk of developing cataracts than younger people. Approximately 60% of people ages 60 and older have their vision significantly affected by cataract formation. For people over age 55, cataracts are the leading cause of reversible vision loss. 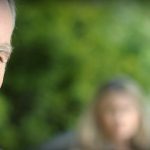 Diabetes, heredity, eye trauma, and certain medications can accelerate cataract development, and there is some evidence that smoking can also accelerate cataract development. Is removing the Cataract surgically my only treatment option? Can I elect not to have surgery? Yes, surgery is the only way to remove a cataract. You can decide not to have the cataract removed, however, if you don’t have the surgery, your vision loss from the cataract will continue to worsen. How will removing a Cataract effect my vision? The goal of cataract surgery is to correct the decreased vision that was caused by the cataract. During the surgery, Dr. Chu will remove the cataract and implant a new artificial lens called an intraocular lens (IOL). Cataract surgery will not correct other causes of decreased vision, such as glaucoma, diabetes, or age-related macular degeneration. Many people still need to wear glasses or contact lens after cataract surgery for either near and/or distance vision and astigmatism. An advanced technology presbyopia-correcting IOL can be implanted allowing more range of vision and spectacle independence. Why use a lens implant? When we perform a cataract surgery, the ultrasound dissolves and removes is the natural lens of the eye containing the cataract. Therefore, we use a special intraocular lens (lens implant) to replace the natural lens that was removed. This lens implant is inert to your body and should not need to be replaced. What types of IOLs (Inter Ocular Lenses) are available to me? Dr. Richard Chu will help you decide on the type of IOL that will replace your cloudy lens. There are IOLs available to treat nearsightedness (myopia), farsightedness (hyperopia), and astigmatism. IOLs usually provide either near or distance vision: these single focus lenses are called monofocal IOLs. Some advanced IOLs can provide for near, intermediate, and distance vision: these multiple focus lenses are called presbyopia-correcting or technologically advanced IOLs. IOLs that treat astigmatism are called toric IOLs. Is the lens implant permanent? Will I feel a difference with the lens implant? The lens is intended to be permanent and in most cases will not need to be removed.No, the lens becomes a part of you. It is as natural in appearance, comfort and durability as your natural lens had been prior to the development of the cataract. Will injections or stitches be needed? The eye is desensitized without injections. We use anesthetic drops to numb the eyes. This eliminates the pain and bruising of the eye associated with injections. Because the incision is so small, it usually does not require stitches. A qualified anesthesiologist or nurse anesthetist will administer a local anesthesia to keep you relaxed but awake. Most cataract surgeries take approximately 15 to 30 minutes. No. Only one eye is operated on at a time. The second eye can be treated approximately two weeks later. Patients with nearsightedness and farsightedness often also have astigmatism. An astigmatism is caused by an irregularly shaped cornea; instead of being round like a basketball, the cornea is shaped like a football. This can make your vision blurry. In addition to toric IOLs, astigmatism can be corrected by glasses, contact lenses, and refractive surgery (LASIK or PRK). 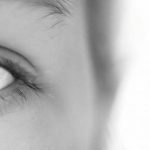 There is also a procedure called a limbal relaxing incision (LRI), which can be done at the same time as the cataract operation, or as a separate procedure. A limbal relaxing incision (LRI) is a small cut or incision the ophthalmologist makes into your cornea to make its shape rounder. Any attempt at astigmatism reduction could result in over- or under-correction, in which case glasses, contact lenses, or another procedure may be needed. As with any surgery, pain, infection, swelling and bleeding are possible. Very few patients have serious problems or cataract surgery complications. Dr. Chu may prescribe medications for these effects. Retinal detachment also occurs in some people. Be on the lookout for excessive pain, vision loss, or nausea, and report these symptoms to us immediately. 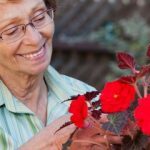 Recovery time after cataract surgery is usually about four weeks. Immediately following surgery, the patient may experience some pain and irritation of the eye. Due to strong dilation, you may experience increased light sensitivity and a small amount of fluid discharge. Tylenol or Advil are preferred for pain or headaches and over the counter, moistening drops such as Systane or Optive for irritation. Follow-up exams allow the physician to monitor patient progress. Eye shields must be worn for the first week to protect the eye while sleeping. Restrictions include no lifting ANYTHING over 20 LBS, no bending at the waist, and no eye make-up for 1 week. NO SWIMMING for 2-4 weeks. Most patients can return to normal activities including driving, work within a few days. However, some patients may take longer to achieve their final visual clarity. This is at your level of comfort. No, a cataract will never return once it is removed. However, sometimes a cloudy membrane forms in the capsule or “sack” behind the lens implant. Fortunately, that is able to be removed with a simple laser treatment. This clouding has been known as a "secondary cataract" and may form weeks to years after cataract surgery. Chu Eye Institute is a leading advanced vision correction facility in the Fort Worth area. Our practice is built on innovation, leadership, and passion for perfection in all of the eye surgery procedures we perform. We combine the industry’s most sophisticated technology with our renowned surgical expertise to deliver an unmatched level of care and perfection to help you see more clearly and put your life in focus. Chu Eye Institute is one of the few practices in Fort Worth to feature an advanced fellowship trained corneal specialist and cataract surgeon in the entire Dallas/Fort Worth area. Dr. Richard Chu has been involved in many clinical research projects and invited to present to his peers at national meetings. He is published in the field of cataract surgery and corneal disease. 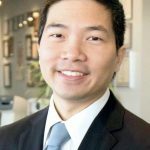 Dr. Chu brings his extensive experience in the latest advanced lens technologies to tailor your surgery to better fit your daily visual needs. If you’re thinking about any vision correction procedure, consult with Chu Eye Institute to better understand the latest research, technology, and results that can lead to a more fulfilling lifestyle without glasses.